This is a followup to the earlier post about repairing air conditions. This post however is more targeted to an experienced DIY person because we will discuss electronics. 1. Compressor fan starts but dies a couple of seconds later. 2. Compressor fan starts only if you manually help it turn. 3. Compressor outlet pipes not cold. Please note that there are some air condition units which switch off when the compressor fails as a safety mechanism. So if your air condition unit switches off after a couple of minutes, then check the compressor. 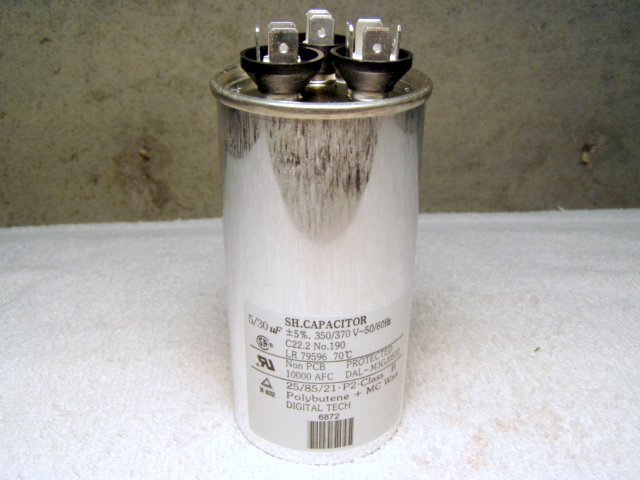 These are the symptoms of a bad 'run capacitor' - a run capacitor helps a single phase motor to start and keep it running but holding electric charge. The run capacitor in an air condition unit is called a Dual Run Capacitor because it supports two electric motors - the fan and the compressor. If the capacitor busts or weakens by time (loses more than 10% of the holding capacity) then you need to change it. Also make sure you use the same voltage rating - 440 volt capacitor can be used in place of a 370 volt, but not a 370 in place of a 440 volt. The microfarads must stay the same within 5% of its original value. I often go to Orlando air conditioning repair shop when I have problems with my air-conditioning system. I think I can check this out and try if I can fix it on my own. The best thing to do is to remove the pulley to make sure you get all of it. If you dont know how. If you're searching for commercial air conditioners to meet your business needs, we have just what you're looking for. Bergen Refrigeration Inc. light commercial comfort systems are not only steady performers that will work dependably year in and year out, they're also easy to install and service because of their application, flexibility and accessibility features. Our rooftop air conditioning options and commercial HVAC units will also help you address workplace environmental issues, such as indoor air quality and reduced energy consumption. I like reading your current well written articles. I totally cherished each and every little bit of it. I have you bookmarked your website to be able to check out the new material in the future.